I am a huge fan of plaid print. If you remember, I did a post on plaid print hoodie! Plaid prints are in and today I am going to show you the top that I have been loving a lot (I get loads of compliments whenever I wear it!)! I ordered it from Gamiss which is a leading international online fashion clothing store! 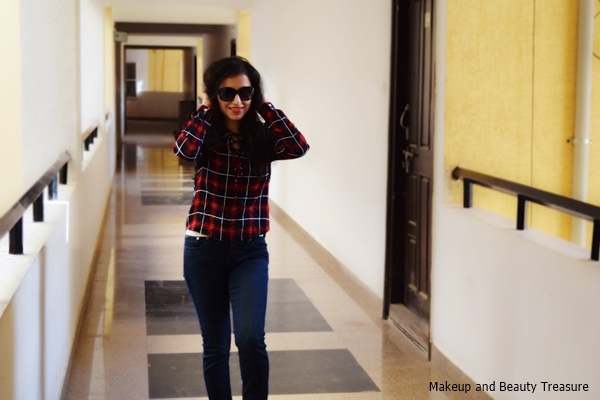 If you love wearing short length tops, then you will love it! I am 5'3" and very long tops or kurtas do not suit me! Short tops make me look long and slim! This plaid blouse is red and black in color with lace detailing on the top! The blouse is made from rayon that feels extremely soft and comfortable against the skin! It has full sleeves and is perfect to wear in this hot weather, especially when I don't want tanning on my hands! I prefer wearing full sleeve tops when I am under the sun! The collar is of good length and feels comfortable! The lace up pattern make this simple top look all the more chic! 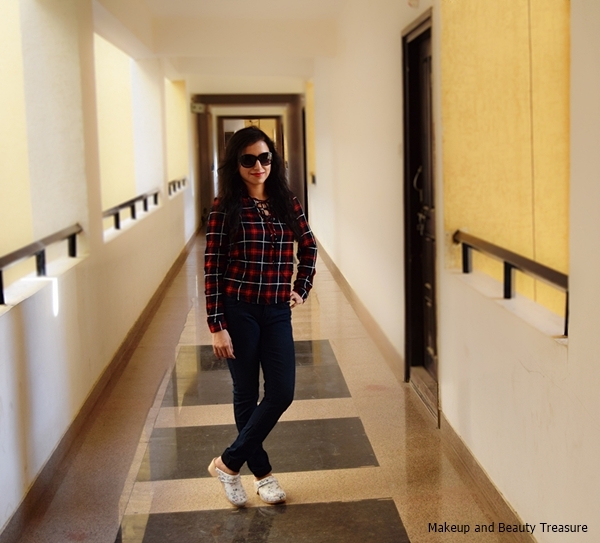 I love pairing this top with dark denims! I ordered the size S that fits perfectly on me! - Looks stylish and fashionable! - Perfect to wear in all seasons! - The color would look good on all skin tones! - Payments can be made through debit, credit cards and PayPal! 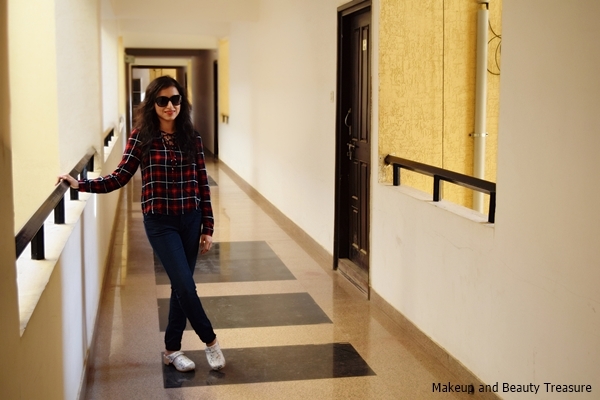 If you are looking for stylish yet comfortable top then I would highly recommend this plaid pattern top! It is quite light and makes me feel comfortable throughout the day! Do you like plaid prints? I love plaid pattern tops/shirts/dresses,.. Nice pictures,..
Loving your outfit a lot. I am also a huge fan of plaid prints. I am sure you ll love their collection!